NoPa Kitchen + Bar is a new 160-seat American brasserie in the heart of Penn Quarter. The name represents the restaurant's location just north of Pennsylvania Avenue. NoPa is open for lunch, dinner and Sunday brunch featuring infinite mimosa and sparkling wine plus any two courses for $30. Closest Metro is Gallery Place - Chinatown. 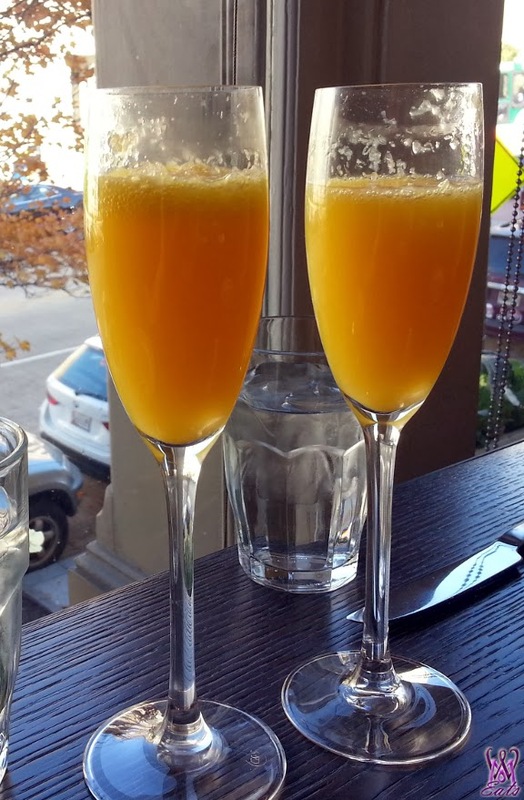 On this cool fall morning, Keith and I headed out to NoPa to indulge in the unlimited mimosa brunch. NoPa's striking interior is light-filled, and sports a rustic industrial style. The décor features whitewashed exposed brick, rough sewn wood paneling, steel accents and metal task lighting. 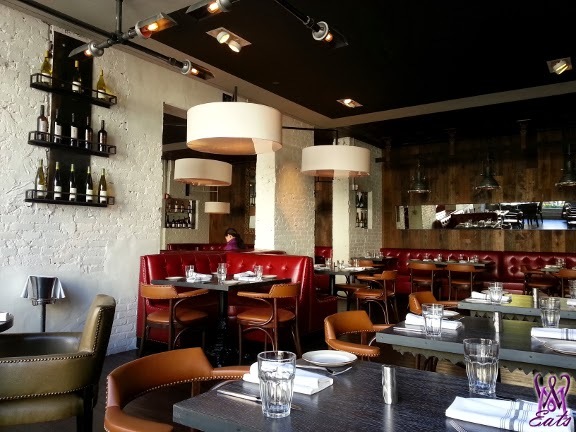 These strong elements contrast dramatically with the plush fabric on the red banquettes and camel leather arm chairs, which provide comfortable seating around sleek wooden bistro tables. We were seated right by the large windows with a direct view of the National Portrait Gallery. The natural light that flooded the room was inviting and set the perfect mood for a lovely brunch. The Champagne Brunch allows you a choice of two items - from the appetizers and eggs/main, or from the eggs/main and desserts. We both decided to choose an eggs/main and dessert to accompany our unlimited mimosas. I was worried that the "limitless" gimmick, might be just that - however, our server was on point with constantly refilling our drinks. So I felt satisfied that we were getting our money's worth. 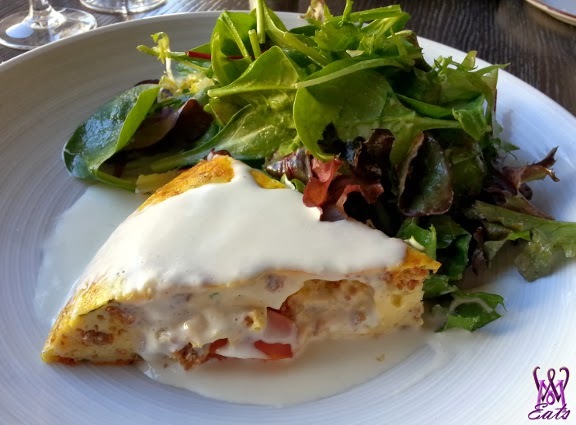 For food, I had the Frittata with house-made chorizo, tomato, arugula and covered in mornay, which is a white beschamel sauce. It was served with a decent sized mixed green salad that was perfectly dressed and seasoned. I really enjoyed the salad, but more exciting was the frittata. The first bite I took had a mouthful of flavorful chorizo. My eyes perked up and Keith asked, "How is it?" I answered, "The chorizo is bangin'!" Haha- that was the first descriptor that came to my mind. Keith ordered the Nopa Burger that comes with Vermont white cheddar and bacon. To make it more "breakfasty" Keith asked them to top with an egg. 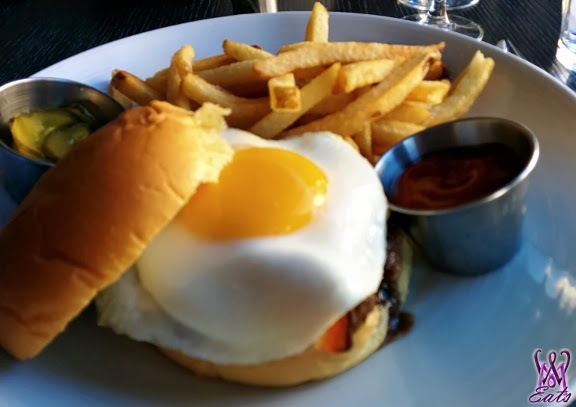 Our server obliged and for a mere extra $2, a beautiful egg was presented on top the burger. He also got a nice heaping of fresh hand cut fries. 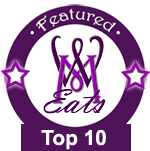 We enjoyed our mains with a few more glasses of fresh mimosas. right before desserts came out, we switched to sparkling wine. Uhm... do you think I liked it? The sparkling wine was a perfect transition to marry with all the chocolate were were about to taste. Keith's dessert of Brioche Pain au Chocolat Panini was delightful and warm, allowing for the melted chocolate to ooze out. 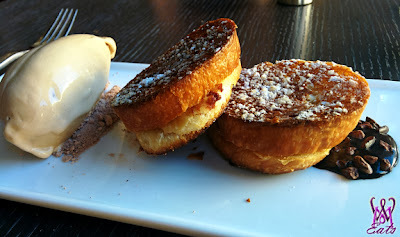 It was served with espresso ice cream. 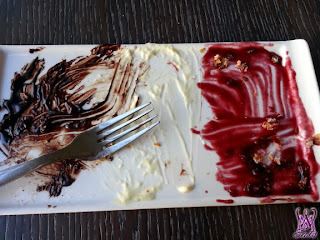 This dessert was very brunch-like and could have been served as a main in a larger portion. 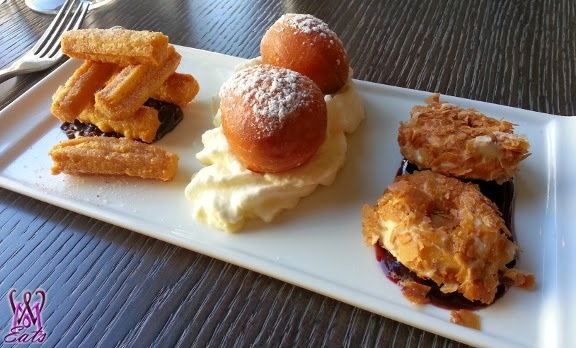 I enjoyed the Doughnette Sampler - artfully presented mini donuts that today featured churros with chocolate sauce, vanilla glazed holes with mascarpone cream, and goat cheese fritters with a tart huckleberry sauce. The sampler was amazing and the perfect finish to the Champagne Brunch. The food and service at NoPa was stellar and on par with the other fine restaurants from Ashok Bajaj of Knightsbridge Corporation. While we really enjoyed their brunch offering - the lighting and mood was relaxing - we would return with guests for dinner.